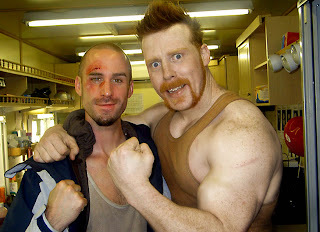 WWE wrestler Sheamus O’Shaunessy (Two Ton) will make his big screen debut along-side world renowned actors Joseph Fiennes (Lenny Drake) and Brian Cox (Frank Perry) at the 2008 Sundance Film Festival when Rupert Wyatt’s ‘The Escapist’ Premieres on the 21st of January at The Eccles Theatre. 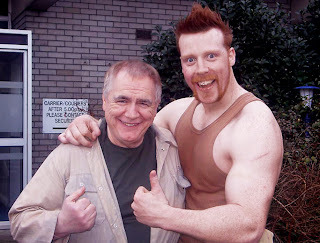 With reviews from private screenings already leaking out on the internet The Escapist is already being heralded as “destined to become a cult classic,” with attention to Brian Cox’s “beautiful” performance. The Irish made movie looks hopeful to pick up honours at the Utah festival which is chaired by Robert Redford. The plot of The Escapist centers on Frank Perry, who is a lifer: in prison for the rest of his natural-born days. And he’s been perfectly willing to accept that...until now. A letter informs him his daughter is critically ill following an overdose. He must see her before it is too late and concocts a plan, but he needs help. He assembles a motley crew of unlikely companions to help with his intricate scheme. A fatal encounter puts the escape in jeopardy, and Frank must lead the group on a truly hair-raising escape. Go to: www.sundance.org/festival/ for further info.